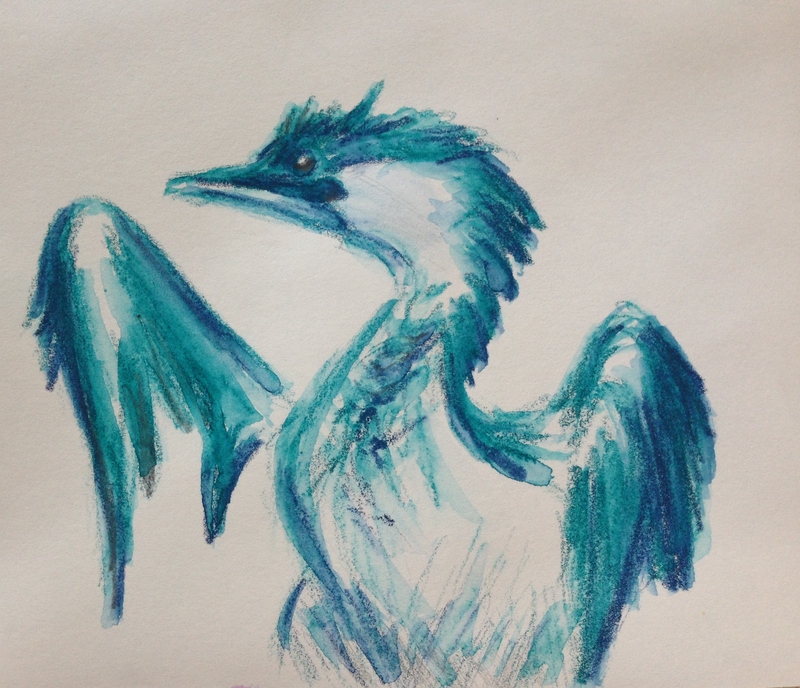 Sorry Charlie … Draw a Bird Day (the real one) is COMING! So many things to celebrate! First of all, the real, official, annual Draw a Bird Day is this Friday, April 8! Thank you once again to M. R. Emberson at A-Wing and A-Way for letting us know about this last year! We are forever grateful! 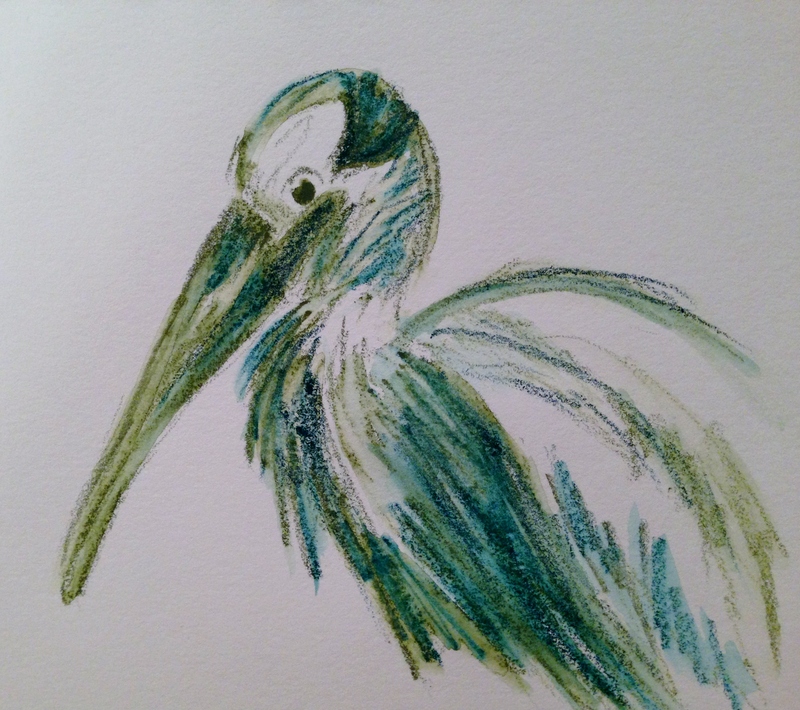 Kerfe and Nina over at Method Two Madness are once again the gracious hosts of Draw a Bird Day this time around, so if you’re interested in joining us, please visit their site on April 8 and post a link to your bird artwork in the comments section. They will do a round-up (flap-up??) of all of the participants once the dust settles. I want to thank an amazing photographer, Kathy at Backyard Bird Nerd, for this incredible bluebird photo. 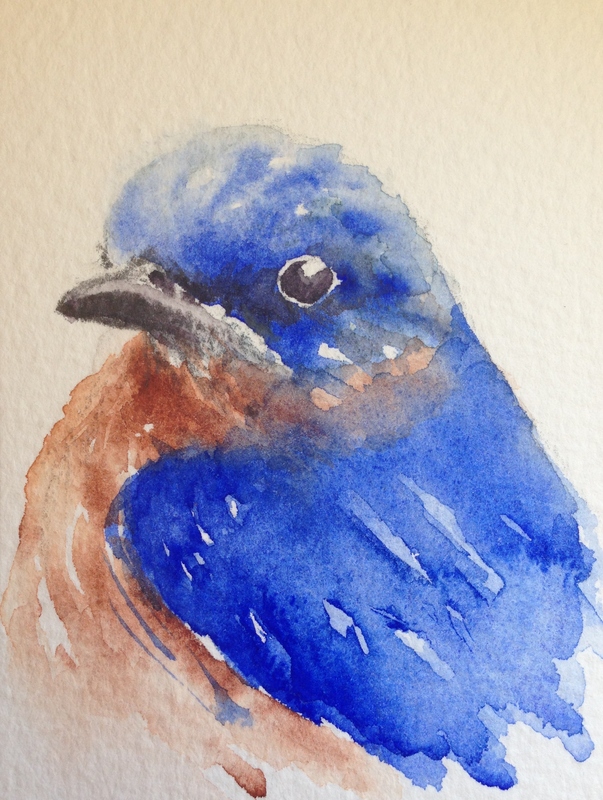 My mom is having her own celebration in a few days, and she loves bluebirds best of all, so even though my watercolor palette was a bit dusty from lack of use(! 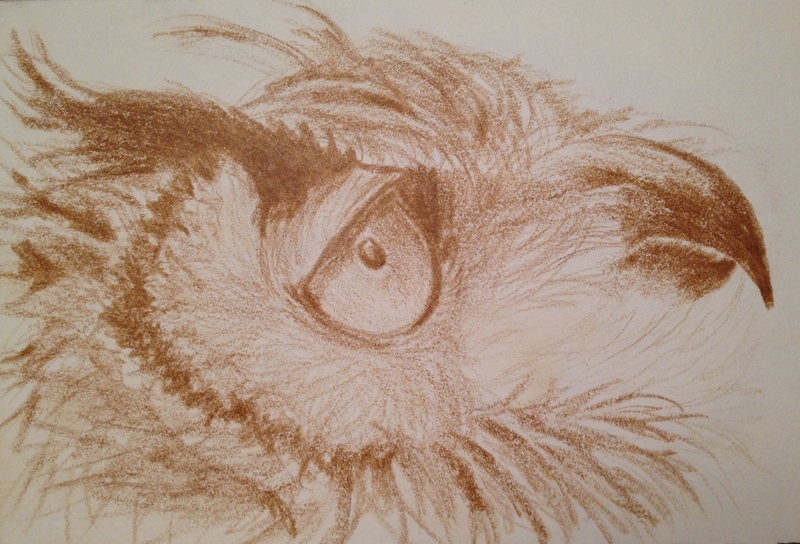 ), I got up at oh-dark-30 to squeeze in a quick attempt at that beautiful birdie face. Thanks again, Kathy! One of my fellow bloggers who is not only a talented artist, but just an all-around wonderful man and friend, Charlie O’Shields over at Doodlewash, is celebrating celebration days all month! Charlie, if I was anything but a tax accountant, you know I’d be tagging with you each and every day, but … duty (and procrastinating clients) calls. Howevah……what a way to celebrate Sorry Charlie day, huh? lol! Draw a Bird Day is lurking, pal! 😀 Although you rock at everything you paint, doodlewash, whatevah you wanna call it, you rock, guy. Thank you for being so supportive and encouraging to all of us here at WordPress. You are a wonderful cheerleader and we all love you so much! I have to flap off, but I do hope you’ll help us make WordPress fly this Friday! 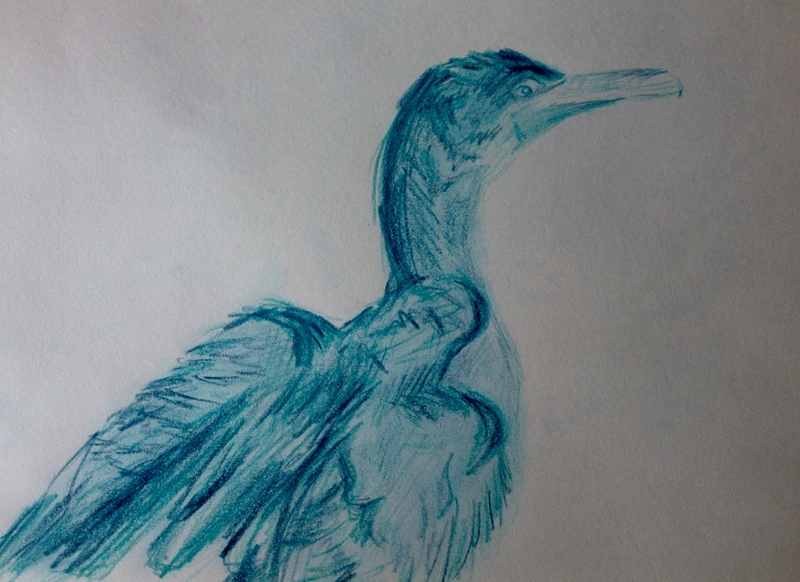 Denis at Haiku Hound saw my recent artwork of a cormorant getting ready to take flight and kindly directed me to some wonderful images on his blog of a cormorant with wings up! I am so drawn to these images, and have been having lots of fun drawing them, mostly in 2B graphite. Thought I’d share the only Neocolor II version I’ve come up with so far. Thanks so much, Denis, and to all of you who inspire me daily with your poetry, photography, and artwork of all kinds. I just soak it all up like a sponge! Really enjoying it. Happy Sunday! May it be a day of restoration and peace for us all! I want to once again thank Donna for the glorious image of a double-crested cormorant she captured and shared recently while in Florida on vacation. I tried this again in Polychromos colored pencil (here is the Neo image from yesterday)… and I may not be finished with this image yet! 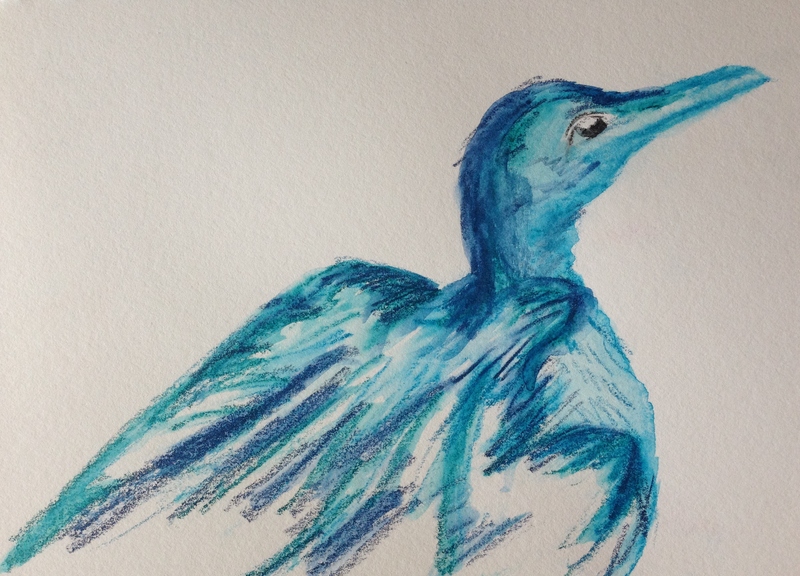 I really was so taken with this bird on the brink of something beautiful, ready to lift off with its amazing wings and soar……it just grabbed the poet, the artist, the dreamer, everything in me and I had to give it another go. I’m taking a lesson from Kerfe and some others here who use such expressive marks when they’re drawing. Really trying to capture more expression in my work. Happy Monday to you, wherever you are. No snow in the forecast is a very happy thing! Spring, you rascal! I know you’re out there. Peace. I saw this post from Donna at Bay Photos by Donna yesterday in my feed, and I knew right away I had to try and make artwork out of some of her fantastic images. Donna is a Maryland girl vacationing in Okeechobee, Florida, and she’s capturing some amazing birds inside her lens, and sharing them with all of us here at WordPress! I was taken with this bird because it looks as though it’s getting ready to soar into the sky. It’s on the brink, hasn’t yet lifted off, and maybe that’s why this image grabbed hold of me hard. So I’ve tried it now in Neocolor II water-soluble crayons (which is this image) and in Polychromos colored pencils. I’ll post the colored pencil sketch tomorrow, and I’d like to get your thoughts as to which one is more appealing to you. I’m learning a lot about these Neocolor crayons, and I’m finding that they help me to quickly and without fuss or mess bring my feelings about a subject to the page. Til then, my friends! Peace. For some reason, this image makes me wanna sing: “Hey, hey Mr. Blue Jay, won’t you play for me all night long” Yeah, I may not be getting enough sleep. 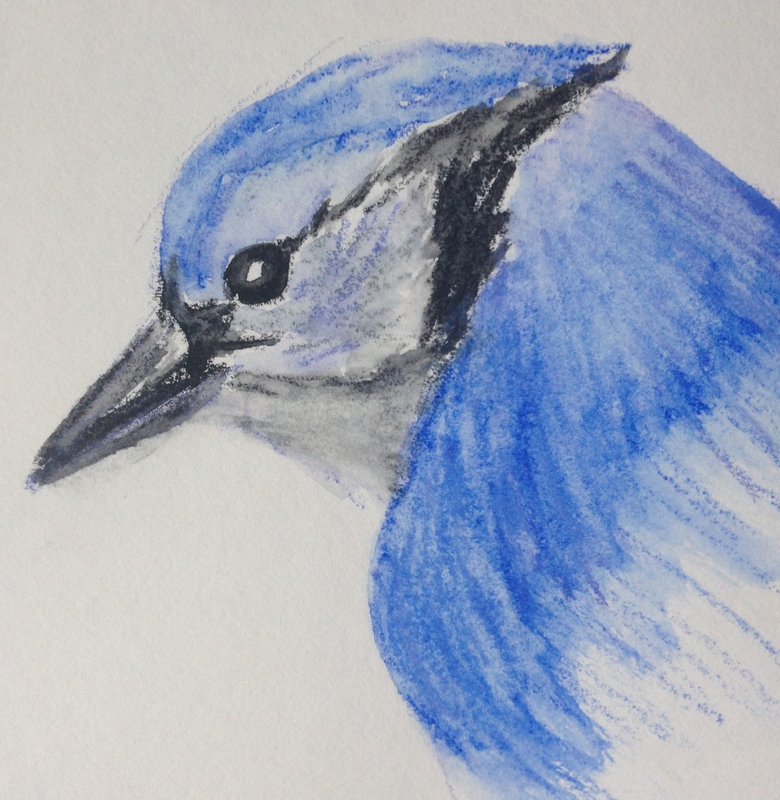 Welcome to Blue Jay, Take Two, brought to you by Caran d’Ache’s fabulous Neocolor II water-soluble pastels. 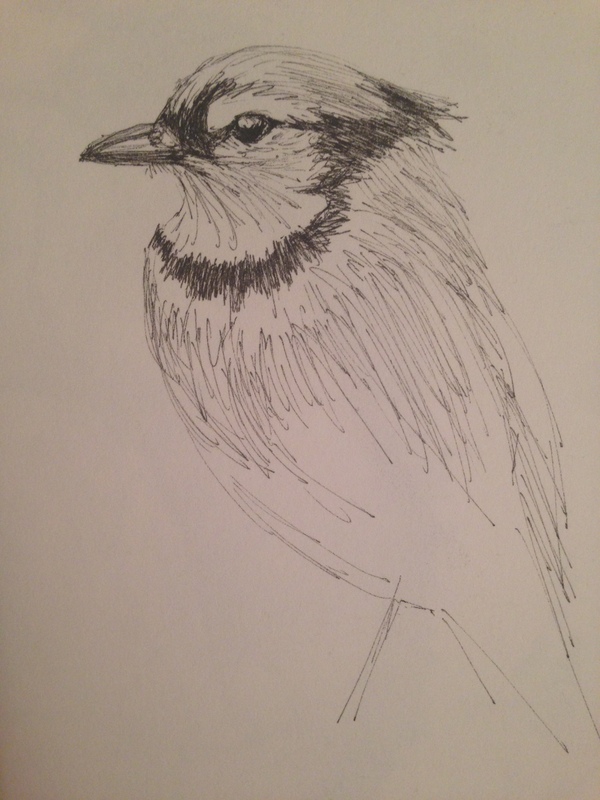 Thanks once again to Kathy at Backyard Bird Nerd for the wonderful reference image. I hope you enjoy. Happy Friday! Hoping for some warm temps this weekend, how about you? Peace. 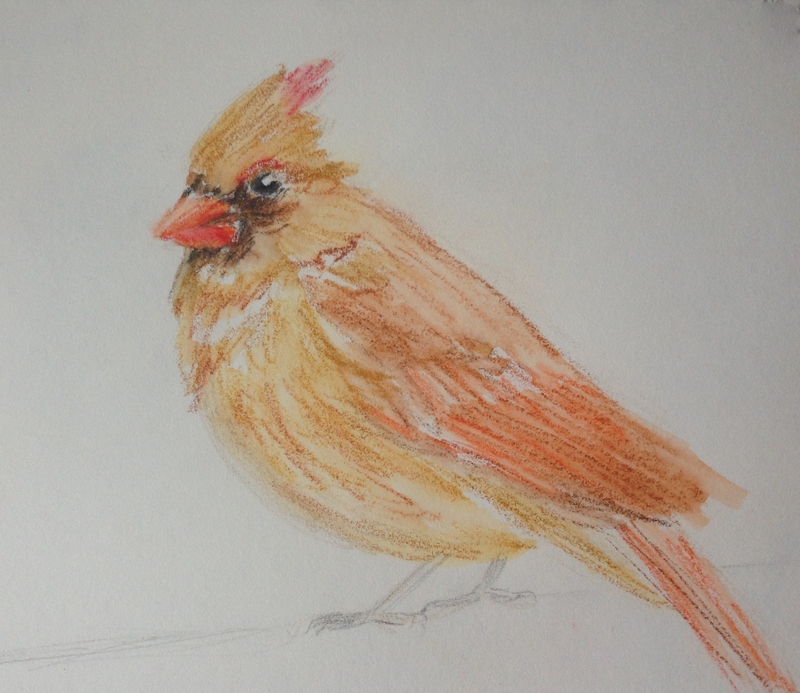 I saw a bunch of lovely cardinals come up in my feed over the weekend from Kathy’s post at Backyard Bird Nerd…..and I just had to grab the Neocolors and sketch one. Happy Wednesday…..this week is flying by! I hope you’re dancing! Peace. I came across an image that grabbed me by the throat recently at Paint My Photo. The photographer is Paul Sherman, and his wildlife images will wow you. This was a quick “I should really be sleeping” type of sketch, but wouldn’t it be amazing to sharpen a whole bunch of colored pencils and have a go at a detailed painting of this gorgeous photo? Here is a live link to the image. You will have to setup a free account at Paint My Photo to view it. If you’re an artist, it’s worthwhile. The photographers there graciously share their work with the art community, which is a beautiful thing indeed. Who’s dancing? Time to splatter and splash in big splotches of paint this weekend! Peace.